This entry was posted on May 22, 2017 by nigel borrington. 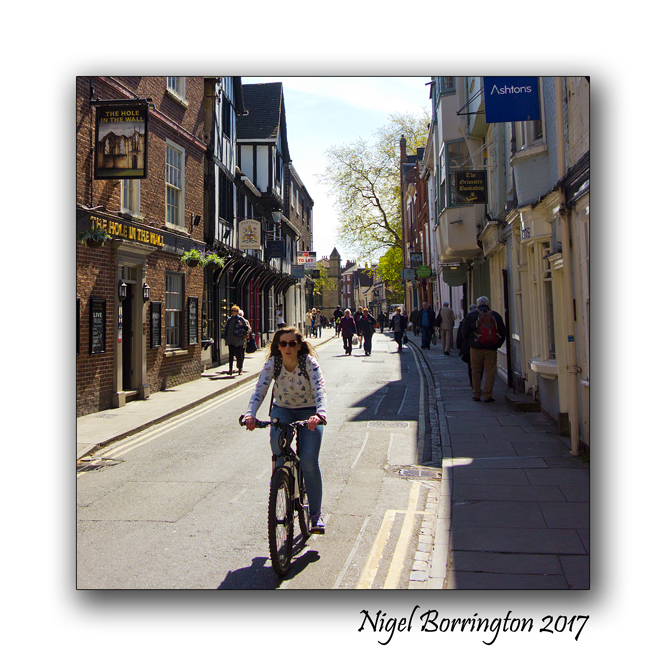 It was filed under Poetry Gallery, Solo images, street photography, york and was tagged with Bicycle, Bicycle Beats, Christian Reid, city, cycling, Nigel Borrington, poems, york, Yorkshire. Cycling. A big thing over here. They just need space.